How often do you use your debit card? If you’re like most people, the answer is every day. It’s a quick way to access your money to pay for small purchases like your morning latte, a grocery run, or gas at the pump. A debit card typically draws cash right from your checking account, and paying with this card is like writing a virtual check. For the most part, debit card transactions are uneven dollar amounts. For example, your coffee may cost $3.69, a tank of gas totals something like $28.44, and groceries may tally up to $35.67. Back in the days of writing checks, many people spent hours balancing checkbooks to make sure all those pennies added up correctly. Now, with all the math done automatically, we often don’t pay attention to those uneven dollar amounts. But, here’s a good reason to pay attention to your small change: It can actually help grow your savings account. That’s right. Believe it or not, your debit card transactions can help you save money and beef up your emergency fund. Read on to learn more. There are quite a few bank account programs out there, such as Chime’s Automatic Savings feature, that help you grow your net worth without ever thinking about it. The concept is simple: when you make a purchase with your debit card or pay a bill, the amount is rounded up and that change is moved into your savings account. Each transaction made with your Chime Visa debit card would then be rounded up to the nearest dollar. The result would be that you spend $4.00, $9.00, and $29.00 with $0.31, $0.75, and $0.56 going directly into your savings account. That extra $1.62 doesn’t sound like much, but small daily amounts like this can certainly add up over time. After a year, for example, your savings account may have an extra $600 in it. Are you going to get rich with a program like this? Probably not. But it may mean you don’t have to struggle to figure out how you’re going to pay for those unexpected mechanic expenses. Not only that, but you may sleep more soundly knowing your savings is there to back you up. In order to build wealth, you should have money going into your savings account regularly, and coming out rarely. Unfortunately, most of us lack the discipline to move money into our savings accounts on a regular basis. Instead, we often opt to spend it. With an automatic savings program, however, you can boost your savings without even realizing it. A round-up program, however, doesn’t take the place of regular and intentional saving. Whereas $600 or so every year is a good start, this may not be enough for you, especially if you’re trying to build an emergency fund that will support you during prolonged and rough times. For this reason, you should also continue to regularly contribute to your savings. And, to make this easier, you can look for programs that help you get a jump start on building wealth faster. 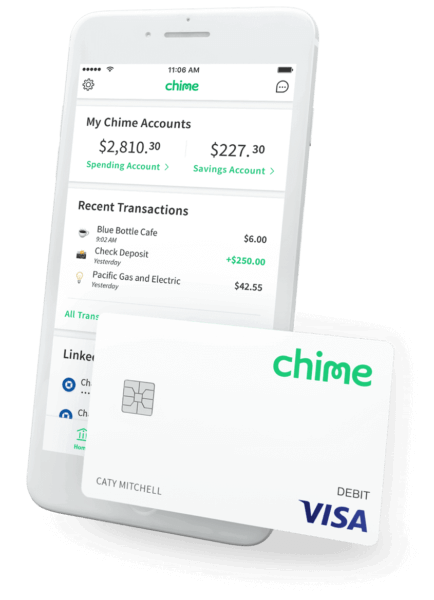 Chime, for example, has a feature that allows you to automatically transfer 10% of each paycheck into your savings account. If you do this – while still counting on your round-up pennies – you’ll be well on your way to meeting your savings goals.